Ever since the age of 11, junior Preston Bradsher has known that acting is the career for her. “I knew that I wanted to act, but I was scared to,” Bradsher said. In her freshman year of high school, Bradsher began her theatre career in technical theatre. “I ended up getting trained on lights and I assistant stage managed our spring show that year, Jack Against the Ogre,” Bradsher said. Bradsher continues to assist with the technical side of theatre, but starting her sophomore year she decided to begin her dream of acting. “I decided to audition for the winter play sophomore year and got cast in a two person short play with my friend Megan Daniel,” Bradsher said. Following Bradsher’s first play, she began to look for more theatre opportunities. She auditioned for Beauty and the Beast and began looking for other theatre opportunities outside of Rose High School. Bradsher found a production of Rent in Savannah, GA; however, the audition date had passed. “I emailed the director and he let me audition and I was cast,” Bradsher said. Bradsher stayed in Savannah for a month practicing and performing for Rent. After that month, Bradsher decided that acting is what she wanted to do as a career. “I’ve been doing anything and everything I can to work towards that ever since,” Bradsher said. This summer, Bradsher is returning to Savannah to perform in The Addams Family and is going to go early so that she can help with construction of the set. 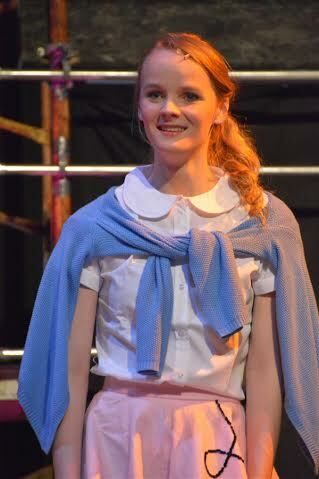 Bradsher also applied and got into Interlochen Arts Academy, a boarding school in Michigan that offers majors in music, writing, dance, theatre, and other arts. Bradsher hopes to continue her acting career into adulthood, but is currently focusing on college.